Italians have had a presence in the area since the explorations of the Europeans. 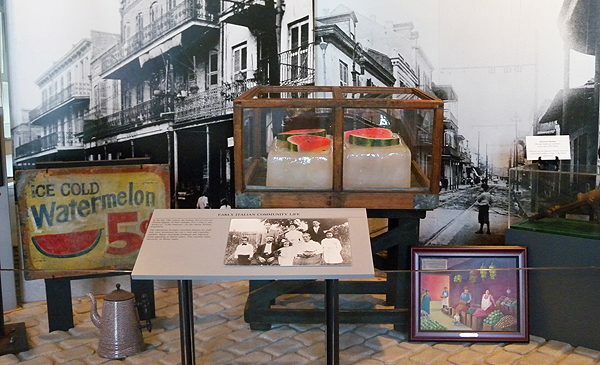 Many Sicilians immigrated to New Orleans in the 19th century, traveling on the Palermo-New Orleans route by ship. Almost all of the 19th-century immigrants to the city originated from Sicily. Overall, most Italian immigration occurred during the late 19th century, with those immigrating from that century outnumbering Italians who had immigrated prior to the American Civil War.